This is the fifth year in a row that we have been skiing. This time we went to Livigno because of its excellent snow record and extensive number of runs, particularly reds which are our favourite. Unfortunately the years snow this year was not what it has been and only a third of the pistes were open and they were all artificial snow. 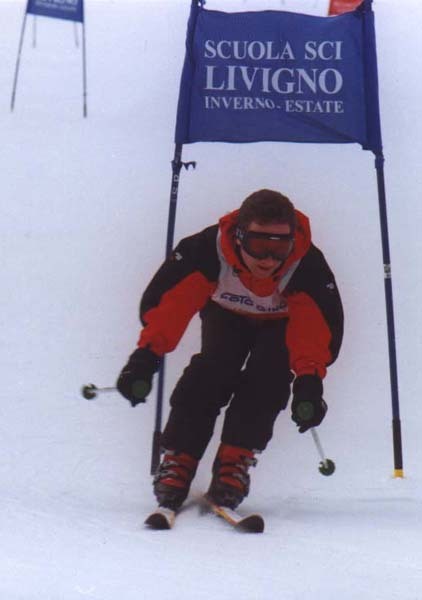 We were however still able to ski a variety of runs and practice our carving turns in ski school. Many thanks to Giacamo (Jackamo) from Livigno ski school for putting for putting up with me. 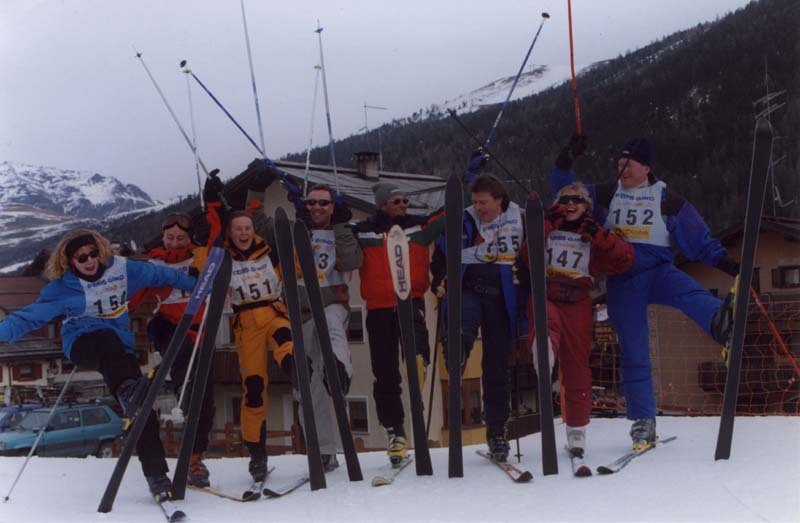 Here's a picture of our ski school class with form left to right Jane, me, Alison, Jim, Giacamo, Alan, Rachael and Dennis. This picture was taken on Race day on which I came third beaten by Alan second and Jim who we all knew was going to win. Download the picture here. You will need winzip to open it. 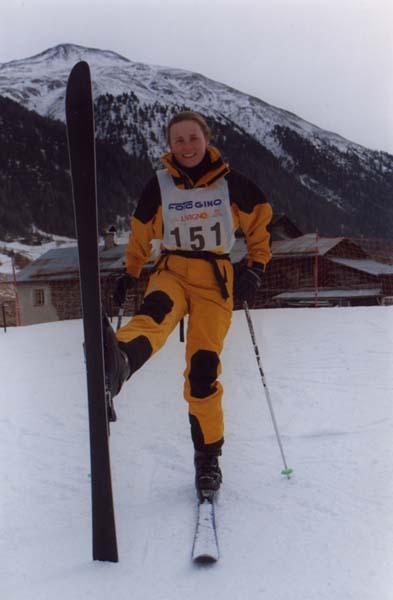 On the left we have Alison posing after her race and on the right me skiing through the poles of the giant slalom flag. There was going to be a two second bonus for each flag passed under but after passing under nine on the practice run this idea was abandoned.